Jan De Graaff circ. 1956. Introduced 1960. (L. henryi x L. aurelianese) Late July bloomer. Photo B & D Lilies. 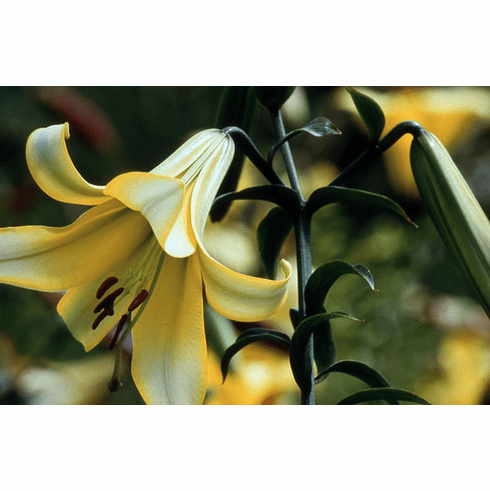 This strain of trumpets was lost after the closing of the De Graaff Oregon Bulb Farms.